Church Street South Housing – popularly referred to as “The Jungle” – was a privately owned and managed project-based low-income housing complex located in New Haven, CT. Constructed in 1969, the housing project was designed by the world renowned architecture firm MLTW/Moore-Turnbull, which was headed by the then-Dean of Yale’s Architecture School, Charles Moore. Originally conceived as a low- and moderate-income housing cooperative, the U.S. Department of Housing and Urban Development (HUD) foreclosed upon the Jaycee Housing Corporation in 1980. Church Street South Housing was plagued by issues throughout its planning and construction – indicative of the severe problems that emerged soon after the development’s completion, then worsened in the 1980s, and have finally come to a head recently. In response to both the ongoing calls for the current owner, Northland Investment Corporation, to redevelop the entire site and the recent announcement that Preservation of Affordable Housing (POAH), a Boston-based not-for-profit affordable housing development organization, is interested in renovating the existing Church Street South Housing project, this paper will discuss the deficiencies of both proposals and attempt to lay the framework for a third pathway out from The Jungle that might lead to a brighter future for the existing residents as well as the buildings themselves. The origin of Church Street South Housing can be traced to New Haven’s Urban Redevelopment program of the 1950s and 1960s. In the wake of World War Two, America’s cities were in a state of decay – congested with traffic, losing population and jobs to suburbs, and filled with obsolete infrastructure of a declining industrial era. In response, Congress passed a National Housing Act in 1949, which provided federal funding to municipalities for slum clearance and redevelopment projects. In 1954, amendments to the Housing Act expanded funds to commercial and rehabilitation projects. In 1956, a Highway Act provided additional funds to State Departments of Transportation to use in constructing the Interstate Highway System through cities, towns, and their surrounding country sides. In New Haven, Mayor Richard Lee’s Redevelopment Agency, headed by Edward Logue, coordinated with the Connecticut DOT to plan highway construction and urban redevelopment in the center of the City. With 1955’s Church Street Project (Figure 1), the Redevelopment Agency sought to demolish a large swath of the city center between the Green and Union Station (Figure 2). In the mid-20th century, the area was populated with mixed-use commercial buildings, warehouses, wholesale markets, small homes, and a dense network of irregular streets. To replace this viable though declining area, city planners envisioned an indoor shopping mall along the Green, Downtown parking garages, highway ramps, office buildings, a civic center, a police headquarters, and a high school, medical buildings, and commercial park lining a new boulevard extending from Church Street to Union Avenue. In total, 707 households in the Church Street area were relocated and most of the redevelopment projects were eventually realized except for the commercial park, which hadn’t attracted the necessary investors to develop the site. As a result of lacking interest in commercial development for the area and the need to include replacement housing in order “to qualify for federal redevelopment funds”, New Haven’s Church Street Project was amended in 1965 – replacing the light-industrial commercial park with housing and a school. Initially, German-born Modern architect Ludwig Mies van der Rohe was hired to design 800 units of “housing for the elderly, public family housing, moderate income housing, upper middle income housing, [a] school and a boys and girls club” in addition to a new train station. 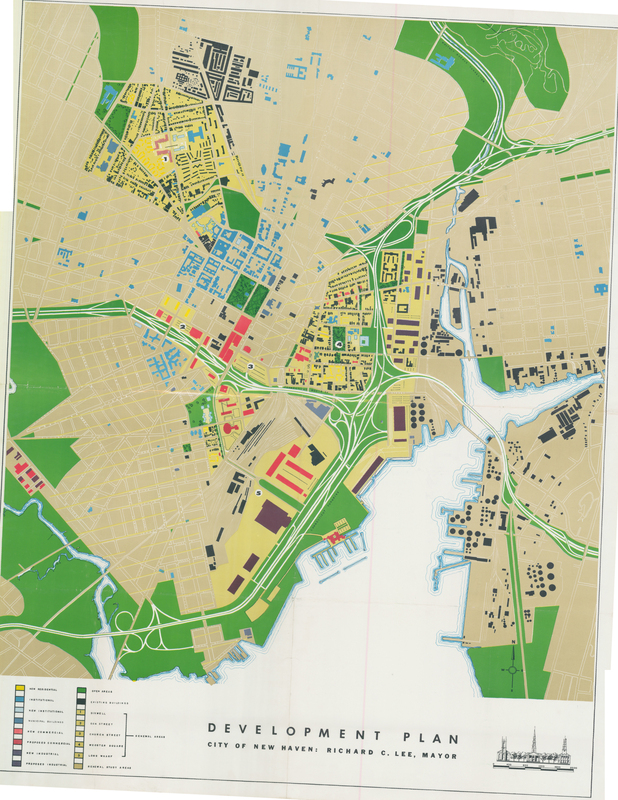 The site plan consisted of 3-bay wide low-rise buildings of varying length and high-rise towers sitting in a vast open space of parking lots and greens (Figure 3). By 1967, however, the arrangement with Mies had fallen apart due to the removal of the school and train station from the program, while “budget restraints” and Mies’ “poor health” may have been contributing factors as well. To revive the project, Charles Moore was brought in to design a more contextual development. Between 1967 and 1969 Moore’s firm produced “32 [different] site plans” for the housing development, which included a 20-story 217-unit tower of rent-subsidized elderly housing to be managed privately, an 8-story 93-unit tower of elderly public housing to be operated by the Housing Authority of New Haven (HANH), and 400 units of low- and moderate-income family housing in low-rise buildings to be funded through “Section 221 (d)(3)” of the 1961 National Housing Act and cooperatively-owned. The final site plan (Figure 4) called for a central pedestrian spine connecting Union Station to Church Street South and lined by community facilities around plazas flanked with residential buildings surrounding green spaces. Courts and Greens served as unique addresses for residents and were named after Malcolm X, Jose de Diego, Jose Marti, Joseph Cinque. and Christopher Street, which was demolished during the Church Street Redevelopment Project. Charles Moore originally wanted commercial space throughout the development but a minuscule budget and “federal agency red tape” at the time prevented such provisions. Moore also envisioned a narrow roadway leading from the train station to Downtown through the complex, but the city’s then-head traffic engineer required all city streets to be a minimum of “36 feet”, which precluded the architect’s favored design – resulting in his “folksy and intimate” street becoming a pedestrian-only path instead. Moore also anticipated the construction of a City-planned Ring Road around Downtown (Figure 5) that would bring traffic through the complex along a widened Columbus Avenue – prompting Moore to turn housing away from that proposed roadway, which never ended up being built. While the 217-unit Tower One and the 93-unit Robert T. Wolfe high-rises were completed as planned by 1971, the low-rise Church Street South Housing complex encountered a number of problems during its construction. First, the developer made a last minute materials change that required buildings which had been designed for “pre-cast panel” construction with brick end walls and wooden stairs to be built in concrete masonry units and metal railings instead. Second, the last 99 units that were originally planned for moderate-income families then later switched to additional low-income apartments were not constructed on the north end of the site around Tower Lane, nor was a “day care center for 60 children”. Lastly, when the contractor ran out of the money and abandoned the project, the Department of Housing and Urban Development (HUD) refused to provide additional funding to build playgrounds in the complex, which required the city to apply for “federal recreational funding” intended for public parks. In the end, Church Street South Housing was built with deficient commercial space, no moderate-income units, flat roofs, exposed surface parking lots across from Union Station, no through streets, and monotonous construction materials (Figure 6). Fueled by its isolation, several design flaws, and a population where “97% of the total population of children” live in poverty, Church Street South Housing became home to one of New Haven’s most violent drug gangs of the 1980s and 1990s, “the Jungle Boys”. Though the gang was largely dismantled by a joint federal, state, and local law enforcement criminal investigation in 1992, the housing development has remained crime-plagued despite being located within a block of the New Haven Police Department headquarters. Contributing to its sense of isolation, Church Street South Housing is completely surrounded by dangerous arterial roadways and highways – making destinations beyond the complex difficult to access. To make matters worse, the housing development is located in one the most polluted areas of the region (Figure 7). Exacerbating these intrinsic design flaws and entrenched socio-economic problems has been a lack of routine maintenance performed on the complex throughout its history. After HUD foreclosed on the Jaycee Housing Corporation in 1980, Church Street South Housing came under the ownership or management of a series of private rental property companies from HRA Realty in 1983, to Colonial Realty, to Harbour Realty in 1992, to the Community Builders in 1998, to the most recent, Massachusetts-based “Northland Investment Corporation, which has owned the property since 2008”. These private organizations have proven themselves to be no better at managing low-income housing than HANH had been prior to the late 1990s, an organization that was rife with corruption allegations, audited by HUD, sued by tenants, and allowed their housing developments to decline rapidly through “mismanagement”, which, to be fair, coincided with a concerted effort to defund public housing beginning in the 1960s. In New Haven’s climate, which is characterized by intense freezing and thawing cycles, and high humidity, Church Street South Housing’s flat roofs have decayed quickly due to a lack of maintenance – leading to leaks, water damage, drainage issues, and mold growth. The complex’s mechanical system is also outdated as evidenced by frequent problems with faulty furnaces, which have been known to leak carbon monoxide into apartments. Issues in the housing project have been well-documented throughout its history from the 1970s until today. Architect Larry Speck photographed the complex in the 1980s – revealing deserted plazas and graffiti. David Littlejohn, an arts critic and author, noted the empty communal spaces, broken lamps, and unbuilt northern end in 1984. Journalist William Finnegan explored the violent, illegal drug trade throughout New Haven in the late 1980s, including in The Jungle. 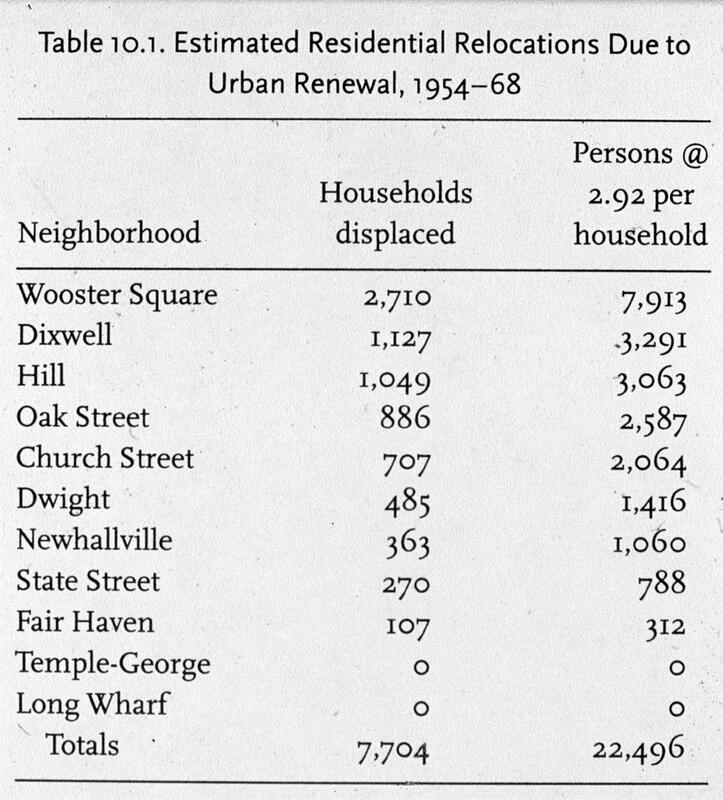 An Ely professor of Management at Yale University, Douglas Rae, describes the complex as “concentrating the very poor in large numbers [to] serve a similar function in the local housing market” as segregated public housing managed by HANH. In recent years, local news media outlets have exhaustively documented the ongoing problems facing tenants at the complex. As of January 2018, there are four lawsuits against Northland related to conditions in the complex. Considering Church Street South Housing’s numerous problems, one might initially scoff at the offer by the Boston-based Preservation of Affordable Housing (POAH) to work towards renovating the existing housing complex to preserve all 301 units of affordable housing, but further analysis of the housing development’s superb – though flawed – design reveals that this proposal is not that farfetched. Church Street South Housing wasn’t designed by some inexperienced architecture firm; nor was it challenged in the way of some low-income public housing projects from earlier generations that were planned in a communal garden-style like Elm Haven (1939), Farnam Courts (1941), and Quinnipiac Terrace (1941) (Figure 8), or placed far from the city center like McConaughy Terrace (1948), Rockview Circle (1951), and Eastview Terrace (1960). A closer look at the site and unit plans (Figures 4 & 9) reveal why the complex received such high praise. Aside from the lot across from Union Station, all of the parking for the complex is hidden from the street in rear lots or tucked underneath buildings. Large communal green spaces and playgrounds are overlooked by efficient, but large apartment flats and duplexes. With a total of 301 units, there are 5 one- and 54 three-bedroom apartment flats with private entries and rear yards; 102 two- and 97 three-bedroom duplex units with shared entries and individual balconies; and 19 four- and 24 five-bedroom duplexes with private entries and front yards. This high level of individuality, privacy, and spaciousness is in stark contrast to the ambiguous open spaces, communal hallways, and cramped apartments of the city’s earlier public housing projects. The building typology deployed at Church Street South Housing consisting of two duplex units above a three bedroom flat is still used today in affordable and market rate housing designs like at Stamford’s award-winning Greenfield site development at Vidal Court in 2014. Pedestrian paths and courtyards lead to a small convenience store, laundry facilities, and community room in the center for the complex. Exciting and dynamic spaces are formed by controlling views towards Roche and Dinkeloo’s Knights of Columbus Tower (1969), Cass Gilbert’s Union Station (1918), and Moore’s own 20-story Tower One and 8-story Robert T. Wolfe high-rises. The buildings have been designed in a Post-Modern style to include abstracted traditional features such as inverted quoining, projecting cornices, and two-over-two double-hung windows (Figure 10). These elements recall details found in Georgian architecture, from which Cass Gilbert also drew in his designs for Union Station, the New Haven Free Public Library (1908) on the Green, and numerous commercial and civic buildings Gilbert proposed for the area in 1910. 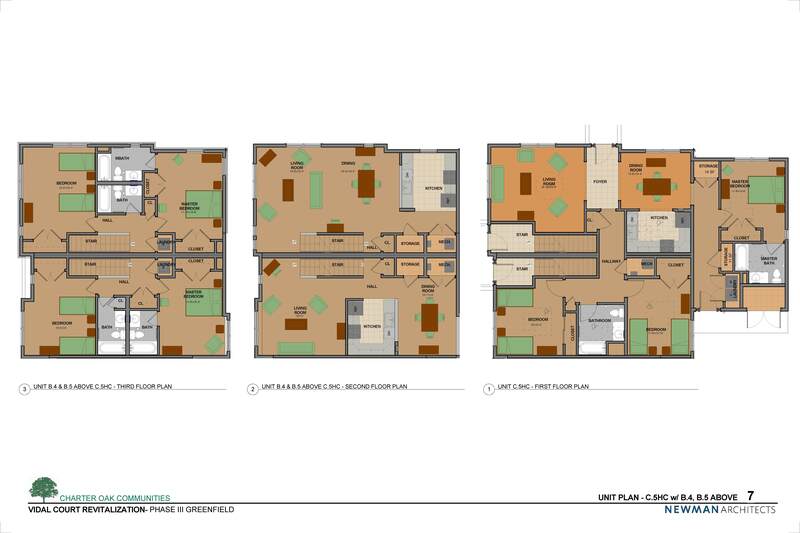 The complex is conveniently located near transit, health services, jobs, shopping, and parks. While there is much to admire about the design and location of Church Street South Housing, these positive qualities are nevertheless overshadowed by the development’s sizable problems. As a result, even if we assume excellent management practices, any attempt by POAH to renovate the existing complex as is would likely result in the inevitable return of familiar issues due to Church Street South Housing’s intrinsic design and programmatic flaws. Three low-income public housing renovation projects in New Haven from the last 25 years illustrate this point well. In the 1990s, both Quinnipiac Terrace and Farnam Courts underwent substantial makeovers, which resulted in flat roofs being replaced by pitched roofs and new doorways, porches, and stairs being added to replace the communal entries and hallways (Figure 11). More recently, McConaughy Terrace, which was built during a second wave of public housing construction on the outskirts of the city near now-gone Westville industries and already contained individualized entries, underwent a $12 million renovation that included substantial site work and renovations while the complex was occupied (Figure 11). Despite these improvements, however, Quinnipiac Terrace was completely redeveloped in 2006 in phases under the HOPE VI initiative, McConaughy Terrace continues to struggle with crime and isolation, and plans to redevelop Farnam Courts are currently underway. In 2009, Eastview Terrace was redeveloped through a strategy of surgical demolition, renovation, and new infill construction. In 2016, additional infill construction took place at Eastview Terrace to replace units from the Farnam Courts redevelopment. One way to address Church Street South Housing’s flaws would be to redevelop the entire 11.82-acre site with new mixed-income, mixed-use buildings, which is precisely what the current owner of the complex, Northland Investment Corporation, proposed doing in 2012 and what the City, HANH, and Northland are again proposing now. It’s a proposal that is also similar, in many ways, to the kind of large-scale, slum clearance planning that was conducted in New Haven under the Urban Redevelopment Program throughout the mid-20th century. A new public square near Union Station could greet travelers, a navigable street pattern would orient visitors towards their destinations, a comprehensive parking and transportation plan might alleviate parking problems at the train station, and new construction provides the opportunity for more efficient mechanical systems, the integration of incomes, and an inspiring architectural statement for our time. Redevelopment also offers the opportunity for stormwater mitigation infrastructure to respond to the area’s low elevation and proneness to flooding. Two important aspects of any new design for the Church Street South site would be to carefully study the Union Square master plan from the City’s Hill-to-Downtown Community Plan (Figure 12) and draw inspiration from the nearby Beaux Arts Renaissance Revival-style Union Station (Figure 13). Called for in the Union Square plan are the creation of new streets through the existing site, 6-story mixed-use commercial office, retail, and residential buildings, concealed parking structures for businesses and 800 housing units, and a park on axis with the train station. Conceivably, by exchanging existing city-owned land on the site for property that Northland owns, the proposed park could be publicly owned. While the City’s current Hill-to-Downtown Community Plan is appealing, for the most part, one important improvement could be made to it. Rather than using the circuitous existing route to the train station via South Orange Street to Columbus and Union Avenues as currently proposed under the former Coliseum site project, a direct connection to the entrance of Union Station from Orange Street could be made across Route 34 by creating a new street through the middle of a redeveloped Church Street South Housing site (Figure 12b). In the modified City’s scheme, people would be able to traverse the site more easily and be more likely to spend time and money in the area. Furthermore, redevelopment may spur growth in and around the medical district. Also, relocating all of the existing tenants through the provision of portable Section 8 vouchers would undoubtedly address much of the social homogeneity that currently exists on the site while giving families the opportunity to move away from a highly polluted area. Lastly, 30% of the 1,000 apartments could be subsidized in order to maintain access to affordable housing for low-income households in an increasingly desirable area while preventing the concentration of large numbers of poor residents. This has been attempted – with mixed results – in other developments like 360 State (also see here), the Residences at Ninth Square, and Rowe Apartments. One possibility is that the 199 affordable units in the 335 unit Ninth Square development are transferred to Church Street South. However, while redeveloping the site seems like the best available option because of its many benefits, there are several potential issues that would arise from razing the existing complex and rebuilding entirely anew. For starters, relocating all 288 current households (officially 834 people, but the actual number of residents is likely over 1,000) in a short amount of time is guaranteed to result in some existing tenants being housed in many of the region’s numerous substandard, slumlord-owned rental units that accept Section 8 vouchers and are much farther from the city center. An enormous amount of resources and time is required for such a large-scale relocation endeavor. Northland Investment Corporation paid HANH to relocate tenants, which it hoped to accomplish by December 2015 (as of June 2018, the last remaining tenant was temporarily relocated to a motel). For reference, it took HANH over 15 years to find 183 scattered site housing units in “non-impacted” neighborhoods in the wake a 1995 court-ordered settlement resulting from the mismanagement of units at Elm Haven. Moreover, new residential construction in New Haven has tended to consist of mid-rise rental apartment buildings with hundreds of studios, and 1- and 2-bedroom units. They are typically constructed of conventional podium-style structures with 4-to-5 stories of double-loaded residential corridors built of wood light frame and clad in mechanically-installed or chemically-adhered synthetic siding materials all sitting atop a concrete or steel frame base for retail and parking. These highly cost efficient buildings are designed to maximize usable square footage to the point of requiring zoning variances. Marketed as Downtown luxury apartments, rents for these new units, per square footage, top the regional housing market from around $1,500 per month for a 500 square foot studio to $3,000 per month for a 1,000 square foot 2-bedroom. With limited private outdoor space, communal amenities like small courtyards, roof decks, gyms, and movie screening rooms are often included in order to attract graduate students, single professionals, and empty nesters. Lastly, if Northland’s unrealized 2012 proposal is any indication of what to expect for a redeveloped Church Street South Housing, we will see at least “600-800 residential units”, 20-to-30 percent of which would be set aside as affordable housing for households with less than 60 percent of the area median income of $57,700, and “200,000 to 400,000 square feet of office and retail space”. 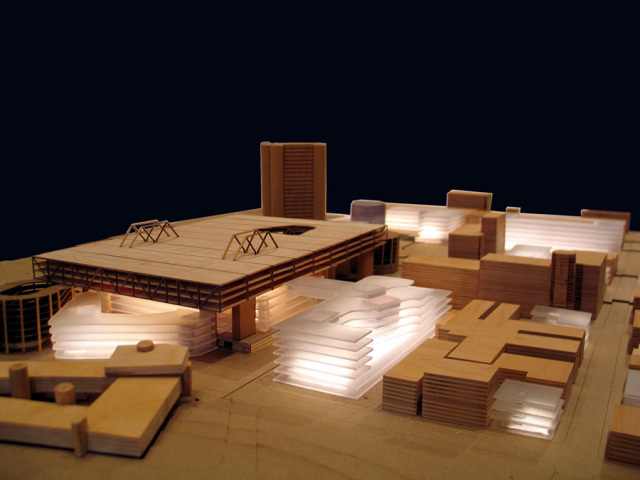 Northland’s 2012 proposal included minimal green space, large exposed parking facilities, bland plaza spaces, and an uninspired architectural language (Figure 14). Northland’s most recent proposal from May 2016 calls for over 1,000 new residential units, 25,000 sf of retail, about 25,000 sf of residential amenities, and Union Square Park similar to that proposed as part of the Hill-to-Downtown Plan. In many ways, the site plan is compelling – parking is underground, screened from the street, or lined by single-loaded residential corridors. Loading facilities are off the street and incorporated with garage entries. If the proposal were being built on a parking lot, I would likely support the development, but the idea of replacing terraced townhouses designed by a world renowned architect (who was living on Elm Street in the Dwight-Kensington neighborhood at the time) that have individual private outdoor space organized around a series of green spaces with a real estate investment product consisting of apartment units strewn and stacked along communal hallways designed by a multinational corporate design firm with little regard for context strikes me as unfortunate. It is difficult to imagine one of Church Street South’s existing low-income families enjoying a higher standard of living in a new 2- or 3-bedroom unit several stories off the ground than they would in a renovated 3- to 5-bedroom unit with a private yard overlooking a green space in the existing complex. However, the quality of life – as defined by lower crime rates, greater opportunity, and social diversity – would likely improve dramatically for any returning or nearby residents and visitors. Perhaps, however, it is possible to imagine a third option for the site that could combine the benefits of both the existing complex and a redevelopment project. Without a doubt, there appears to be unanimous consensus from government officials, tenants, neighbors, and design professionals that Church Street South Housing should not continue in its current state for much longer. The buildings are in disrepair, children are suffering from health issues related to mold, crime is rampant in the complex, the site is vastly underused, and the development is largely seen as an eyesore in the center of the City. The entire existing Church Street South Housing complex, however, likely does not need to be demolished and rebuilt in order to address its issues. 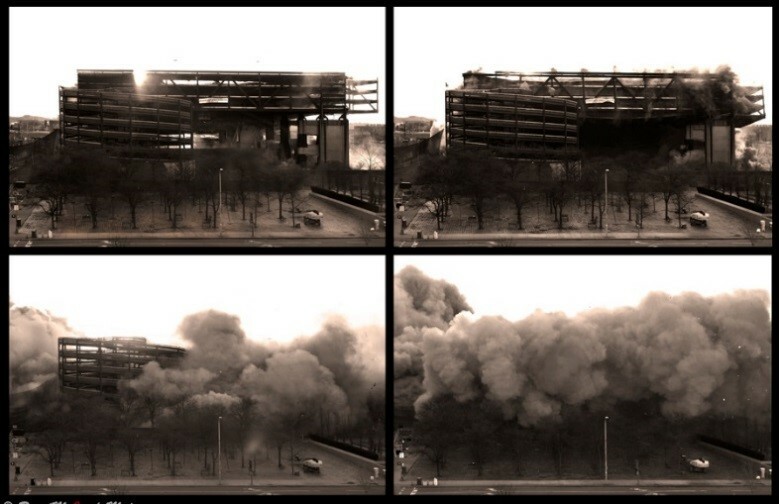 Urban Redevelopment projects in the 1950s and 1960s showed the shaky moral ground on which large-scale demolition and rebuilding programs operate. Yet there remains widespread support for this large swath of the City to be demolished for a second time. Incredibly, today’s spectators – many of whom are old enough to have witnessed the Urban Renewal program – show no reluctance in blindly supporting the redevelopment of Church Street South despite not even having a new design to evaluate. What’s more, the buildings are less than 50 years old – a fraction of the age of housing in nearby neighborhoods. Wholesale demolition also means losing the embodied energy of over 25 concrete block buildings – hollowing out much of the excitement over building new “green” buildings. Why is New Haven so prepared to throw away another piece of its architectural heritage and built legacy, in the name of so-called progress? As a significant example of early Post-Modern architecture built at the tail end of Urban Renewal, Church Street South Housing will be eligible for placement on the National and State Register of Historic Places in 2019, which would qualify the complex for significant State and Federal incentives for rehabilitation work. There are, however, examples of buildings less than 50 years old that have been placed on the historic registry. Furthermore, HUD certainly has an interest in preserving affordable housing units for low-income families in large apartments with private and communal outdoor space, and convenient access to transit, parks, jobs, services, and cultural venues, and thus might be willing to provide financial assistance towards a renovation effort. One particularly interesting nearby multi-family housing complex exemplifies how low-income residences can be successfully reimagined without demolition. Trade Union Plaza, recently renamed University Village, is located on Dwight Street at the edge of Downtown between Yale-New Haven Hospital and a traditionally low-income neighborhood. Containing 77-units of 1- to 4-bedroom apartment flats and duplexes with private entries and balconies, Trade Union Plaza was designed by Victor Christ-Janer of New Canaan as 9, 3-story residential buildings above garages surrounding central green spaces on a 3-acre site. 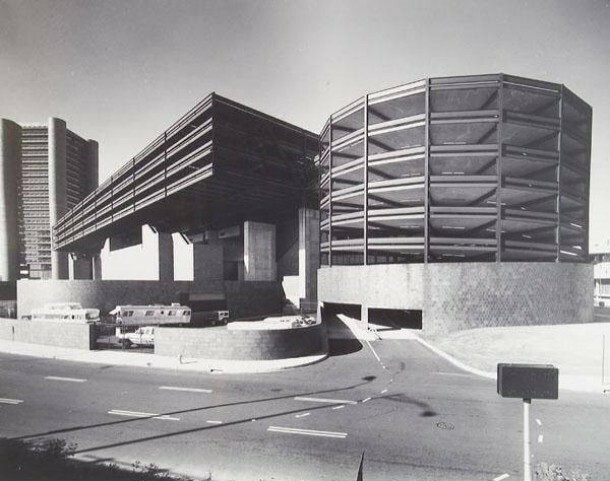 Trade Union Plaza was built of concrete block with flat roofs in 1968, a year before its larger, though nearly identical, counterpart on Church Street South. Unlike Moore’s complex, however, Trade Union Plaza began as a low-income housing cooperative, and like many others of that era, it suffered from deferred maintenance and eventual foreclosure by the 1980s. In 1985, the complex was privately bought, but was required by HUD to accept Section 8 vouchers for a 15-year period. By 2001, Trade Union Plaza’s open garages had been equipped with overhead doors, the periphery of the site received privacy walls and plantings, the central courtyards had been enclosed with fencing and gates, and the development had been acquired by a new owner. 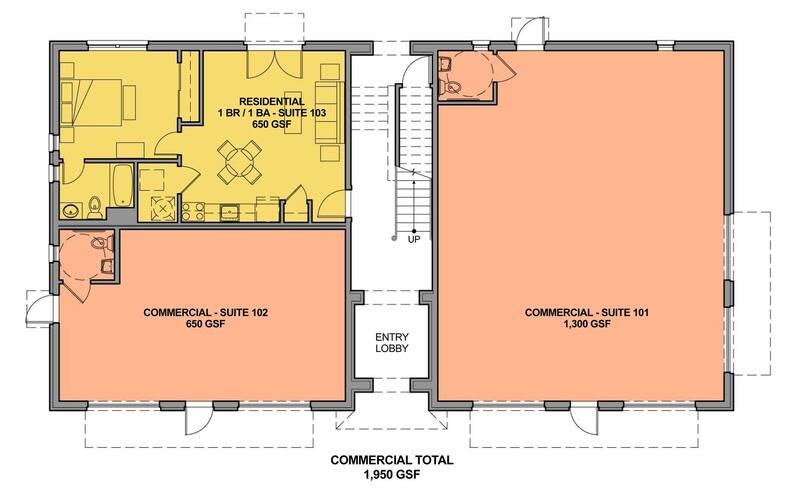 Most recently, the former housing cooperative was sold in 2011 to another private owner who began extensive renovation work to make the complex competitive in New Haven’s rental market (Figure 15). Today, 1-bedroom units rent for $1,100, 2-bedrooms for $1,400, and 3-bedrooms for $1,913 per month. This work, while inspiring, has also meant the loss of dozens of affordable housing units in the region. While both of Moore’s other Church Street South buildings, Tower One and the Robert T. Wolfe high-rises, were built at around the same time as the low-rises and have been successfully renovated in recent years, the 301-unit low-income family housing complex requires more than a mere renovation, as previously discussed. The flaws that must be addressed in order to achieve a successful renewal of the existing Church Street South Housing complex include the 1) unrealized economic development potential of the site; 2) absence of adequate circulation infrastructure for vehicles, transit, pedestrians, cyclists, and law enforcement to navigate through and around the site; 3) programmatic and social homogeneity resulting from a lack of commercial space and moderate- and high-income households; 4) flat roof and exposed concrete block construction (Figure 16); and 5) severe state of disrepair of existing mechanical, structural, and finish systems resulting from decades of deferred maintenance. Fortunately, at least from today’s economic development perspective, Church Street South Housing was never completed – leaving large, undeveloped areas on the northwest part of the site. While part of this area has since been parceled off, the remaining portions are populated with a recreation area owned by the City and a parking lot for Tower One, which provides an opportunity for new construction on the site. Furthermore, excess open space on the site left over from the never completed Ring Road, could also be built upon. Additionally, two surface parking lots across from the train station along Union Avenue could also be developed. Lastly, some existing structures could be replaced with higher-density buildings through surgical demolition. There is more than enough room on the site to accommodate the demand for growth in the area while retaining many of the existing buildings. Surgical demolition of some existing structures in tandem with new construction provides the opportunity to insert new streets through the site and remove many of the indefensible spaces that criminals currently use to evade police, conduct illegal activity, and terrorize tenants. Construction work along with street paving would also enable existing streets around the complex to be redesigned to include multi-modal facilities for pedestrians, cyclists, and transit riders. Addressing the existing development’s programmatic and social homogeneity becomes easier as a result of increasing the total number of housing units on the site. As much as 30% of housing units at a renewed Church Street South could be set aside as affordable – thereby allowing many, if not most, existing families to remain or return. Assuming that the new construction and renovation work were phased, this would dramatically reduce the scope of the relocation effort, provide some families with a sense of stability, and retain a large portion of the dedicated project-based affordable units. New construction also offers the opportunity to add substantial amounts of commercial office and retail space to an otherwise predominantly residential community. Although much of the existing complex could and, perhaps, should remain as affordable housing, the substantial renovation work needed for the buildings would likely require that many units be converted to market rate. New pitched roofs, while expensive and partially for aesthetics, are also vital for protecting buildings in New Haven’s northeastern climate. Applying an exterior cladding system to Church Street South Housing’s exposed concrete block structures, however, is less necessary, but would certainly improve the desirability of the complex for many prospective residents for who the exposed concrete block is cold and uninviting. The anticipation of collecting higher rents for some of the units may be able to fund interior remodeling work on kitchens, walls, and flooring, which are currently outdated and in a state of disrepair. Larger-scale exterior renovation work, however, would likely require additional funding from an outside source. HUD is a likely partner considering the organization’s interests and recent changes to its thinking about the inclusion of commercial space in its projects. One potential way to renew the Church Street South Housing site would be through a combination of renovation work on existing buildings and new construction (Figure 17). In order to make room for new streets to cut-through the existing site, 28 units (9% of the total 301-unit complex), including 2 one-bedroom, 10 two-bedroom, and 16 three-bedroom units, would need to be demolished. Removing the existing laundry facility, community room, and retail store is also required. With space in the center of the complex, the Tower Lane cul de sac off of the Church Street South roadway could be extended through to Columbus and Union Avenues to give access to the train station from Downtown (Figure 18). Moreover, after 50 years of closure, Columbus Avenue could finally be reopened between Tower Lane – where the street currently dead-ends – and South Orange Street. To further break up the super-block, a new portion of West Water Street might continue through from South Orange Street to Tower Lane and Church Street South. Lastly, South Orange Street, the historic approach to the train station (Figure 2), will be reconnected at-grade through the soon-to-be former Oak Street Highway Connector thanks to State funding related to the redevelopment of the Coliseum Site. Equally important as new street connections is the redesign of existing roadways like Union Avenue (Figure 19), Church Street South, and South Orange Street to become multi-modal avenues for pedestrians, cyclists, transit riders, and drivers. This can be accomplished by narrowing travel lanes and adding dedicated left-hand turn lanes, planted medians, curb bump outs, bus-only lanes, and protected bike lanes. Such provisions have been shown to increase transit ridership and efficiency, promote cycling among vulnerable users, and reduce the severity of car accidents all while maintaining traffic flow. Across from the train station, new mixed-use commercial and residential buildings above retail can be constructed along Union Avenue where surface parking lots currently exist. Furthermore, a small plaza lined by storefronts can be located opposite of Union Station at the intersection of Tower Lane and Union Avenue (Figure 21). The small loss of communal laundry facilities and a convenience store could easily be replaced by new businesses in the ground floor retail spaces of these buildings – though it should be noted that 65% of existing units already contain in-home washers and driers. Due to the abundance of open space on the site, the 28 demolished apartments could be easily replaced with the construction of new mixed-use walk-up (Figure 21) and mid-rise apartment buildings along Tower Lane, Columbus Avenue, and Church Street South. These replacement units could be built for market rate as well as subsidized housing since they can be constructed inexpensively in stick platform framing. Simple, wood-frame buildings would also relate to the Trowbridge Square neighborhood adjacent to Church Street South, which is notable for “its retention of substantially intact, first-generation streetscapes comprised of extremely small and modestly scaled, stylistically reduced residences built over the course of six decades for members of the city’s working-class population.” As a side note, many of the houses demolished in the Church Street Redevelopment Project were identical to buildings that now contribute to the Trowbridge Square Historic District, which was designated in 1985. An example of a 3-story mixed-use walk up building located at 1170 Chapel Street. On the existing Church Street South Housing buildings, wood, a composite material, or perhaps even brick cladding systems could also be installed on the exteriors of the concrete block structural walls. This would radically alter the appearance of Moore’s design, but with the benefit of providing an alternative to those residents who can afford it and do not appreciate the cinderblock aesthetic. In the front and rear shared open spaces of the complex, tasteful fencing and gates accessible only to residents could be added in order to reduce and, quite possibly, eliminate the illegal activity that currently plagues these areas and is largely perpetrated by outsiders and other non-residents (Figure 22). Because Church Street South’s green spaces are technically public parks, however, privatizing them creates an additional challenge. When land was sold to the Greek Orthodox Church, they built their parking lot on the Great Green, which required the creation of additional, in kind public green space elsewhere, which resulted in Amistad Park a few blocks away. Additional eyes on the street and increased activity resulting from new construction and street design improvements would help improve the perception of safety at Church Street South, and hopefully encourage more use of the playgrounds, courtyards, and plazas. Where an existing Tower One parking lot, and playground, basketball court, and 3-story apartment building at Church Street South are located, there is enough room to build a high-rise residential tower similar to one completed in Downtown New Haven in 2010 (Figure 23). 360 State is a 502-unit apartment tower consisting of a 32-story residential tower sitting atop a podium with ground floor retail, a 4-level parking garage, and a large roof deck. In summary, renewing the existing Church Street South Housing complex through a combination of surgical demolition, new construction, and renovation has the benefits of saving an important work of Post-Modern architecture, reusing 50 years’ worth of embodied energy, capturing the demand for new growth in the area, maintaining large units for families near Downtown, integrating different income groups, addressing the design flaws of the complex, vastly improving streets in and around the development (Figure 24), and preserving a large number of affordable housing units for low-income households in a burgeoning part of New Haven. This renewal plan calls for the surgical demolition of as few as 14 existing housing units and several amenities pavilions. The remaining 287 Church Street South Housing apartments would be renovated along with the 93-unit Wolfe tower while additional infill units would be constructed – 500 residences in a high-rise tower and another 120 units in mixed-use apartment buildings. These renovated and newly constructed units would be supported by 25,000 square feet of new amenities space and served by 25,000 square feet of commercial retail space. Under this proposal, there would be a total of 1,000 new or renovated studio, 1-, 2-, 3-, 4-, and 5-bedroom apartments of which 300 units (30%) could be dedicated affordable housing units. In this scheme, Tower Lane is narrow at only 36 feet, which doesn’t allow room for dedicated cycling infrastructure, but Church Street South, South Orange Street, and Union Avenue could be retrofitted for such infrastructure. Some existing parking would be removed, but there would be opportunities for new parking to be constructed next to Union Station, or as part of the 500-unit residential tower to offset that loss. This proposal also won’t address the issue of pollution in the area, which may actually worsen in the immediate future as a diesel-powered high-speed train is proposed from New Haven to Hartford, but adequate plantings, green space, in-home air filters, and the benefits of being able to walk, bike, and safely access nearby recreational areas (like Trowbridge Square, Amistad Park, and West River Memorial Park) for exercise may offset the negative impacts of pollution for residents. It may also be worth studying various ownership models for a renewed Church Street South Housing. For instance, would it be feasible to convert the complex to a true resident-owned cooperative as was originally intended? Could the property be subdivided into several smaller complexes closer in size to other co-ops in the City that are more manageable? 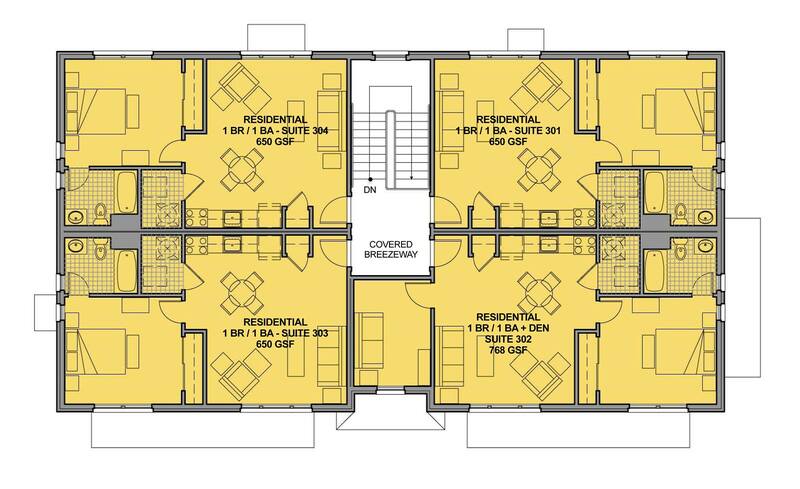 Could each 3-unit building module be designated as an owner-occupied multi-family building? Could each individual dwelling unit be converted into a condominium? Could a combination of strategies be implemented across the complex? Absent from recent discussions about the future of Church Street South Housing has been a call for renewing the existing complex through a combination of renovation, surgical demolition, and new construction. Both the proposal by POAH to renovate the existing complex as is and Northland’s proposal to redevelop the entire site fail to grasp the unique design issues and successes of Charles Moore’s brilliant yet flawed housing complex. A formal feasibility study would reveal the cost and extent of rehabilitation work needed. I suspect that subsidies would be required – potentially through Historic Preservation Tax Credits in order to achieve something comparable to the renovation of Trade Union Plaza, a remarkably similar complex built a year earlier that began as a low-income housing cooperative, and was recently renovated into market rate rental units by a private company. But last September New Haven went to work: throughout its public schools, through its police and fire departments, and through community groups concerned about the well-being of Puerto Rico’s residents – and the peace of mind of family members in both places. Tens of thousands of dollars was raised, to go along with tons of medical supplies, household supplies, and clothing, all to reaffirm the connection between this city and that commonwealth – and the people of each. And hundreds of hurricane evacuees have since come to New Haven for refuge. All those involved in all these efforts are to be commended tonight for their kindness and generosity. New Haven has proven resistant to bureaucratic red tape, delays, and favoritism in its permitting process to keep it transparent, timely, and consistent. The result is a favorable building climate in which more than 1,000 housing units have come online, with an additional 1,000 or so set to get started in the next few months. This helps New Haven resist the population decline and brain drain so many other cities are up against. I would add: this productivity is underway while New Haven remains steadfastly resistant to providing subsidies or property tax giveaways in these projects. Private investment continues to fuel this city’s economic surge. Church Street South Housing had a significant population of families of Puerto Rican heritage. By condemning the buildings, all families were required to relocate to new housing. For some, the move likely represented an improvement in accommodations, but for many, relocation has been devastating. Some had to settle for smaller residences farther from the city center and its resources, others moved into one of the many slumlord-owned properties in the area, and still others moved near family and friends in Puerto Rico only to be welcomed by Hurricane Maria in the summer of 2017. One impact of the dispersing the residents of Church Street South across many privately and individually owned Section 8 apartments in different municipalities is that it largely removes a mechanism by which people can organize around community goals. While HUD’s most recent inspection in 2015 yielded a score of 20/100 – the lowest score ever given in the City – an earlier inspection of select units in the complex in October 2014 yielded a score of 81/100. Clearly, there are some units in the complex that are quite livable – is it really necessary to cut them from the apple? Also keep in mind that unlike rotten fruit, housing can be rehabilitated with a little bit of investment. Utilities and other services would also need to be studied in order to determine if new construction is possible on the site without demolishing much of the existing housing. As best I can tell, Church Street South is accessed at $8 Million and with New Haven’s 2015 tax rate of 38.88 mills, Northland’s property taxes would be around $313,000 annually. HUD had been paying $3.7 Million to Northland annually in rent. Assuming all apartments are rented, fair market rent for Church Street South’s apartment types (one- to four-bedrooms) in the New Haven-Meriden region for 2013, which is covered by monthly rental payments from HUD and tenants, averages out to $1,452 per unit in monthly rent. According to this calculation, tenants should cover approximately $1.5 Million in annual rental payments to the property owner. If Northland were to convert the existing complex to a market rate development like the former Trade Union Plaza at 65 Dwight Street and charge similar rents, the average monthly rent at Church Street South would become $1,518. Project-based Section 8 complexes like Church Street South, however, typically benefit from lower vacancy rates due to waiting lists for subsidized housing, reliable rent payments from HUD, no marketing costs, and having less costly appliances, furnishings, and interior finishes. While I have difficulty finding an example of a low-income family housing complex – public or private – that has been adequately managed and maintained though perhaps Kensington Square comes close, I remain unconvinced that it’s because of some inherent difficulty in operating low-income housing complexes. It seems more likely that it is primarily a result of mismanagement and purposeful neglect in order to achieve an intended outcome, which in the case of Church Street South is demolition and redevelopment for financial gain. It’s also possible, however, that by the time Northland acquired the property in 2008 that substantial renovation work was required on the complex that would have been unfeasible to fund without heavy subsidy. That then shifts the blame to previous owners who didn’t invest in routine maintenance rather than an inherent financing flaw in low-income housing. The public and professional consensus around the demolition of Church Street South Housing is unique in that, until now, there has been virtually no dissenting opinion on demolishing and redeveloping the complex. On the other hand, another Modern architectural icon in New Haven, Roche and Dickeloo’s Veterans Memorial Coliseum, sparked prolonged debate, numerous architectural proposals, and calls from preservation groups to rethink demolition as the only solution to what had become an obsolete venue for area events in a severe state of disrepair. Furthermore, preservationists played an integral role in saving the Putnam Street houses from the wrecking ball, as was initially proposed by the City of New Haven. Having thwarted demolition in 1957 and again in 2011, the housing on Putnam Street is now celebrated by the City as an example of good neighborhood development in the Hill-to-Downtown Community Plan (Figure 27). Likewise, as passenger rail use and service declined in the mid-20th century, Union Station went into disuse in 1954, officially closed in 1972, and was slated for demolition before the 1979 Northeast Corridor Improvement Project revived it with historic preservation and transportation funding. Similar to the neglect of the Coliseum and Church Street South Housing, an 1837 commercial building located 808-810 Chapel Street was recently demolished resulting from decades of poor maintenance on behalf of the building’s owner (Figure 29). In 2012, the City ordered demolition to address safety concerns – though the order was delayed pending structural repairs, which never happened. The general public, design professionals, and the preservation community have been vocal critics of demolition when opposing the loss of certain buildings, yet the silence when it comes to the destruction of Church Street South Housing is evident. As the bulldozers are being prepared to deforest The Jungle, there is little opposition to it. Click here to download a 4.2 Mb .pdf of the annotated version of the above article. For the author’s 2012 Masters Thesis in Architecture, Union Square: Reknitting New Haven’s Urban Fabric through the Redevelopment of Church Street South, click here. While the document advocates for studying the preservation of Charles Moore’s complex, the majority of the report is regretfully dedicated to proposing a conventional redevelopment project for the Church Street South site. Dominski, Emily. A Nowhere Between Two Somewheres: The Church Street South Project and Urban Renewal in New Haven (2012).MSSA Kaplan Prize for Use of MSSA Collections. Paper 7. For exhaustive coverage of recent issues affecting Church Street South Housing, see the links listed at the end of this New Haven Independent article. Very interesting piece. Our interest (POAH’s) is not necessarily to save all of the buildings. Our commitment would be to ensure that all of the Section 8 was preserved in healthy buildings as project-based assistance – and most if not all would be in that neighborhood and/or at that site). In our experience – the risk here is that tenants will be vouchered out, that none will ever return, and that 7 years from now the federal ‘deep-subsidy’ investment in New Haven will have disappeared as those tenant-based vouchers turnover. See our website (www.poah.org) and take a look at our Woodlawn project in Chicago. 504 units in a similar high-density, high-poverty site right on the edge of a giant engine of opportunity (the U of C). 7 years later the site is almost completely rebuilt, and the project-based units are spread amongst the neighborhood in healthy low-density sites that are much more liveable. We still have three (of eight) projects to go – but the community is well on the road to transformation. Thank you for your comment and the excellent work of your organization! Your interest in Church Street South Housing has given me much more hope about the future of the complex than I had prior to POAH’s involvement. I agree that any renovation or redevelopment plan should include affordable units. However, I’d prefer that half of the existing tenants of Church Street South Housing are given portable Section 8 vouchers immediately in order to allow those units in the worst condition to be renovated. Once complete, the remaining residents of the complex can move into those renovated apartments and allow for the rest of the site to be rehabilitated for market rate housing. In this scenario, Church Street South would include around 135 project-based affordable units, 135 market rate units in renovated existing buildings, 300-600 new market rate residential apartments, and 150,000 square feet of new commercial retail and office space.